Aeria Games and X-LEGEND have joined together once more to bring us the highly anticipated MMO: Aura Kingdom, which has launched for closed beta testing on December 23, 2013. For those that have not been keeping up with our coverage: Aura Kingdom is an new anime MMORPG featuring traditional/action-hybrid combat, faithful companions called Eidolons that can assist players in battle, unique travel systems such as gliding through the air and an impressive cell-shaded art style. Not only that, but Aura Kingdom also features eight playable classes, a sub-class system that lets players change their weapon and skills while out-of-combat, tons of unique mounts and more. Aura Kingdom is free to download, and like all Aeria Games titles, is free-to-play. Players with a beta key can download the game now from the official website. Game masters will also be hosting hide & seek events throughout the closed beta where players can win various prizes including potions, EXP and item drop boosters. 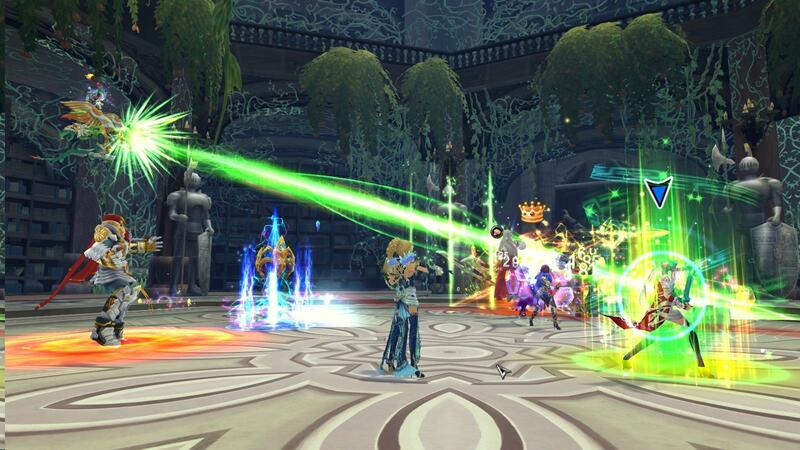 For more information on Aura Kingdom, check out our profile page here at MMOHuts.